Business Process Management (BPM) has always been one of those disciplines that sounded great on paper but was difficult to realize in practice. It made sense that documenting, analyzing and managing the entirety of an organization’s business processes would enable those organizations to increase operational efficiency. But for those brave organizations that gave it the "old college try"—particularly in the early days of BPM—the results were seldom spectacular. A new generation of BPM software, however, is changing this trajectory. Driven by the need for speed and agility, in addition to the traditional needs of efficiency and optimization, organizations are now turning to BPM as a key driver of digital transformation. To say modern BPM tools look wildly different from their predecessors of only a few years ago would be a gross understatement. Like many disrupted industry segments, the BPM space has been under relentless pressure to transform itself and adopt a more modern incarnation. And, like other industries undergoing disruption, this period of rapid change has resulted in both confusion and opportunity. The modern BPM landscape is a mishmash of colliding segments with traditional BPM vendors, traditional Enterprise Content Management (ECM) vendors and new players from the burgeoning low-code space all overlapping and vying for a piece of the pie. 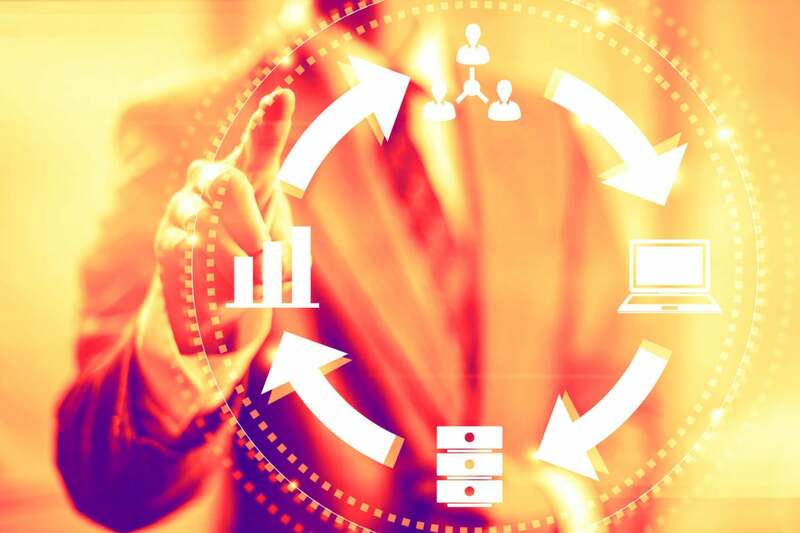 But in the midst of the ensuing collisions and confusion, modern BPM tools of all flavors are finding their place as part of the enterprise’s digital transformation toolkit. As organizations barrel into the digital era, the primary driver of BPM’s new digital transformation role is the demand for organizational agility. Whereas BPM’s historical value was in driving optimization and efficiency, it is its ability to deliver new levels of automation-fueled agility that is changing the game. Pause sees Pitney Bowes' use of Alfresco Process Services, powered by Activiti, as a key enabler of the firm's digital transformation initiative. Citing increases in development speed, solid execution and a quick learning curve, Pause said it gives Pitney Bowes the agility it needs to continue focusing on building innovative products for its customers. An essential part of the new BPM story is the mashup of traditional business process modeling, automation and monitoring with the new low-code movement, in which organizations can rapidly develop applications with little manual coding. It is the incorporation of this low-code approach, in combination with traditional BPM principles, that is the driving force behind BPM’s agility enablement. The rapid development cycles that low-code approaches provide, however, are also enabling organizations to uncover innovation opportunities that they may have otherwise missed. Jenkins went on to share that these new, more innovative developments are also changing the way teams interact and communicate. The ease and speed with which they can now develop and test new automated business processes helps them bridge long-standing gaps between departments and simplify processes for both internal and external customers. The reason why agility, innovation and improved interactions are so important to enterprise organizations is that they are the critical enablers of digital transformation. The ability to deliver them in an organizational context is why BPM is starting to take a central role in some transformational efforts. At first blush, it may seem odd to say that a BPM tool can change human attitudes and approaches, but Fernandes said their ability to use Appian’s BPM platform to rapidly model, build and test automated business processes changes the game. Organizations realize that creating this kind of transparency and enabling staff to break through barriers to see across the expanse of the enterprise are becoming critical capabilities in the era of digital transformation. The essence of digital transformation is a technology-powered re-orientation of organizations away from internally focused business processes and toward customer-facing engagement. But the fact remains that organizations are made up of intricate and intertwined collections of people, processes and their supporting technologies. The new generation of BPM tools offers organizations a way to turn that complexity into an advantage by creating transparency, enabling rapid development and testing, and providing a platform for those closest to the customer (or student or constituent) to stop worrying about technology and focus on solving the problems that matter most. Disclosure: As of the time of writing, Appian and Promapp are Intellyx customers. None of the other organizations mentioned in this article are Intellyx customers.